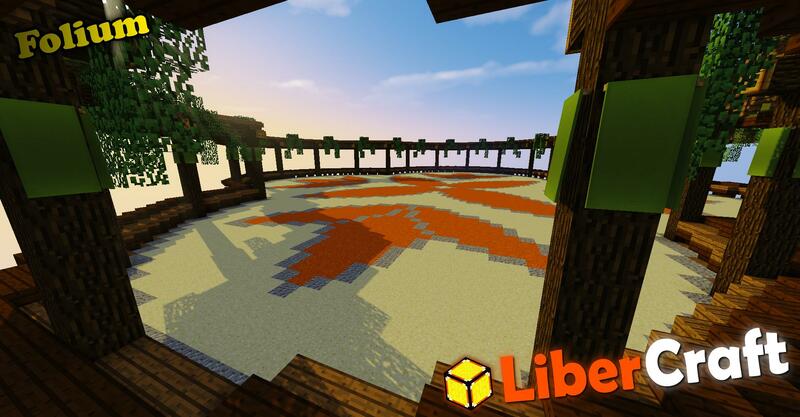 LiberCraft - Vanilla Minecraft Server • View topic - Arcade Games are back! Board index ‹ Information ‹ Announcements ‹ Arcade Games are back! our old non-pvp event, Arcade Games, is coming back to the server! It was offline for a few months because it got heavily bugged (with minecraft updates) and it was not possible to fix back then. We have reconfigurated it all again, and it is now ready to be played again. Since we have a lot of new players that have joined way after Arcade got bugged, I'm posting this announcement again. Folium, a TNTRun map by valtterj and Nailgun. 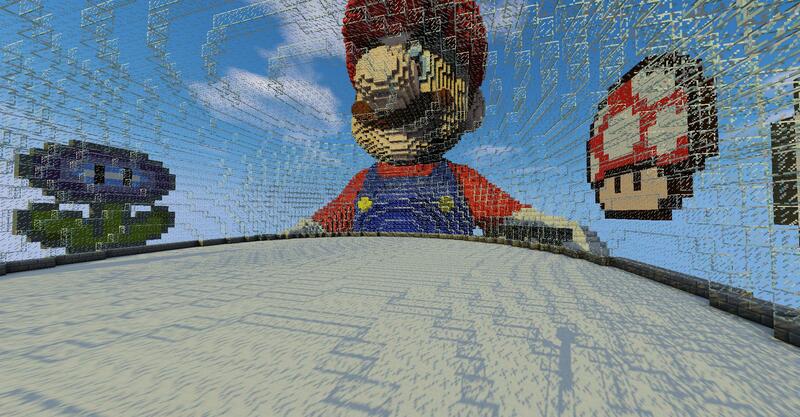 Mario, a Spleef arena by MineLars (giant Mario by torvtak). 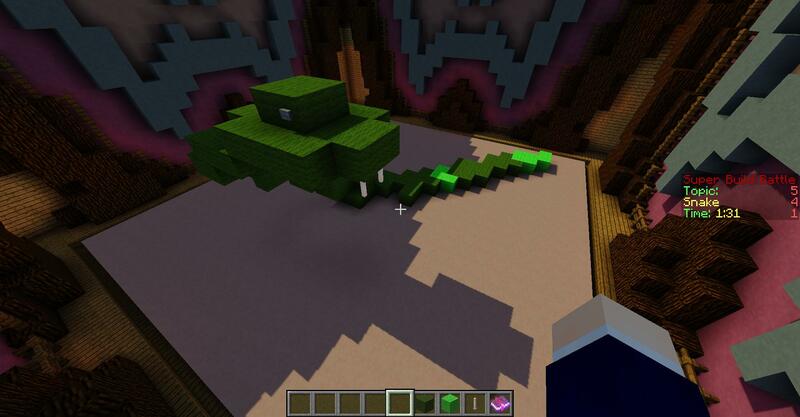 Again, a well-known minecraft gametype. Break the snow floor with your shovel and throw your enemies to the lava pit. In our version of the game, when you break the floor you get snowballs that you can throw to break the floor too. In Build Battle, 20 players are given a the same theme and 5 minutes to build in their plots. When the time is over, all the players will be teleported to each plot to review and vote out of 6 ratings(in 20 seconds). The plot with the most points wins the game! Similar to Pictionary, one player gets sent to the drawing platform and gets a word. 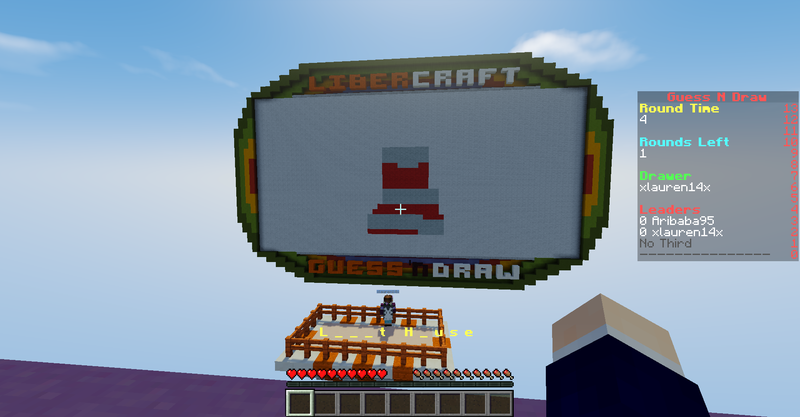 You have 80 seconds to draw while other players try to guess the word by typing it in the chat. First player to guess gets the most points (8) but the rest of the players can still guess it for a few points. Each player will be the drawer in one round, and the player with the most points in the end wins! Thanks for your attention and have fun!